Do you have a favorite, “go-to” cooking pot? Why do you like it so much? Ours used to be this wide, shiny 5-quart beauty that is well into its golden years, having been purchased over 45 years ago, as part of a cookery set Laura bought before we got married. Occasionally we still see this same brand of pots being hawked at home & garden shows by salesmen who cook every type of ingredients without sticking, burning or ever ruining the food. They’re right next to the miracle wiping cloth, miracle mops, and miracle knives that cut everything from paper to my fingers. We’ve bought a lot of pots over the years: small saucy pots, big lobster pots, pasta pots, steamer pots, non-stick pots, outrageously expensive pots, just about every kind of specialty pot ever made. 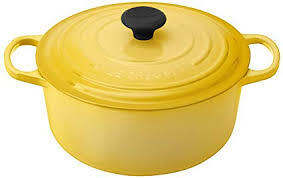 Now we have a new favorite – a bright yellow, cast iron Dutch Oven by Le Creuset. It’s heavy and a bit awkward to work with, but it’s our beloved, go-to vessel for chili, spaghetti sauce and of course for braising meats such as beef roasts or pork loins. It heats evenly and keeps its heat marvelously and does its best work on medium. If you don’t burn your food in the bottom, its easy to clean as well. We love braising pork loins in our pot. Pork loins are inexpensive, lean, healthy, and delicious. Here is a really easy recipe for a tasty pork roast that is a sure winner for family and company alike! 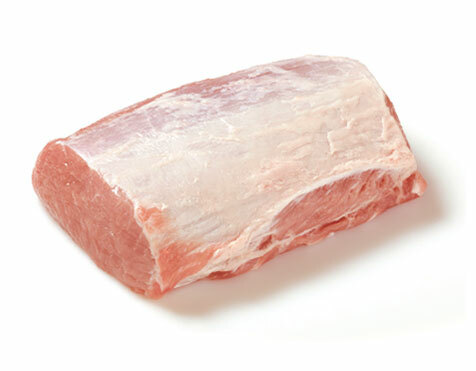 Dredge the pork loin in the seasoned flour. Heat the oil in a 4 or 5 quart oven-safe pot over medium heat until it’s hot but not smoking. Brown the meat on all sides and remove from the pot. Add the cooked onions and apples to the pot and simmer for an additional 30 minutes. Check the internal temperature with a meat thermometer. 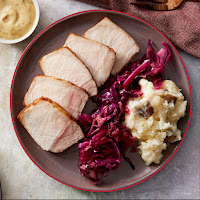 The safe internal pork cooking temperature is 145° F followed by a three-minute rest. A little pink inside is perfectly OK. Remove the meat and keep warm on a platter covered with foil. Don’t let it sit too long because it tends to dry out quickly. Strain the pan drippings through a sieve, pressing down on the solids to push all the juices out. Discard the solids and return the strained juices to the pot. Add 2 tablespoons flour to half cup of cold water and blend well. Add back to the pot juices and bring to a boil, stirring frequently to make a sauce. Adjust seasonings to taste. Witamy i życzymy wszystkiego najlepszego na nowy rok! Welcome, and we wish you all the best for 2019. We’re having a party to celebrate the New Year. Lots of friends and neighbors will be invited to socialize and enjoy an early supper. There was never any question that the dish of choice will be Hunter’s Stew, or better known in Polish circles as Bigos. This is classic and traditional comfort food at its very best. The base is sauerkraut to which we add kielbasa, bacon, pieces of pork and / or beef roast, dried mushroom for distinct flavor, some onion and tomato for background, and basically stew the heck out of it for several hours - it’s even better if prepared the day before, giving all the flavors time to marry and cohabitate with each other. 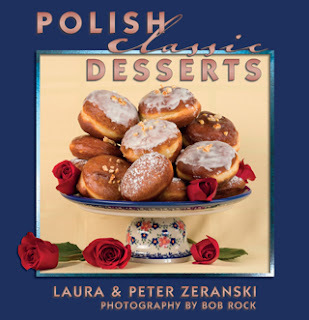 The recipe below is a classic Warsaw version handed down from Peter’s Grandmother. But truth be told there are a “gazillion” varieties of this hearty dish since every town and every village in Poland, and probably every cook has their own version. 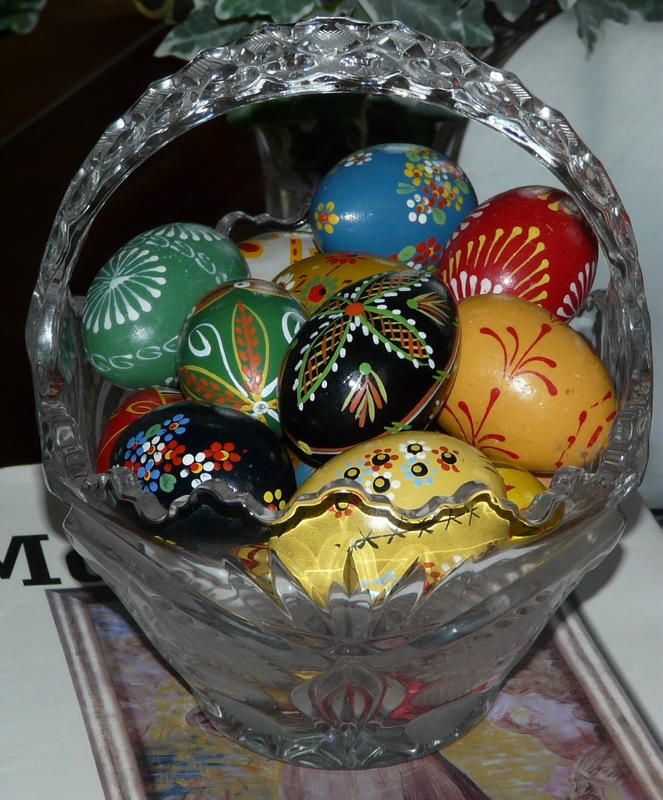 As we travel to various Polish heritage festivals around the U.S. with our books and programs, we’ve noticed that the cooks at every church use some Babcia’s recipe. 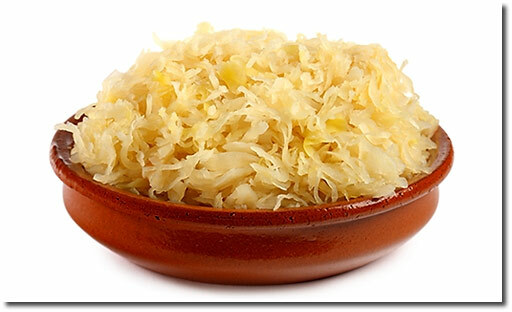 Each is a bit different and each is always popular so that Bigos is often the first dish on the menu to sell out. The beauty of Bigos is that the proportions don’t matter that much and the flavors will all come together, no matter how you change things up to make it your own. 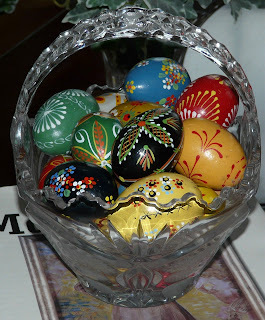 For our New Year’s day party, we’ll serve it with some boiled potatoes and black bread on the side. 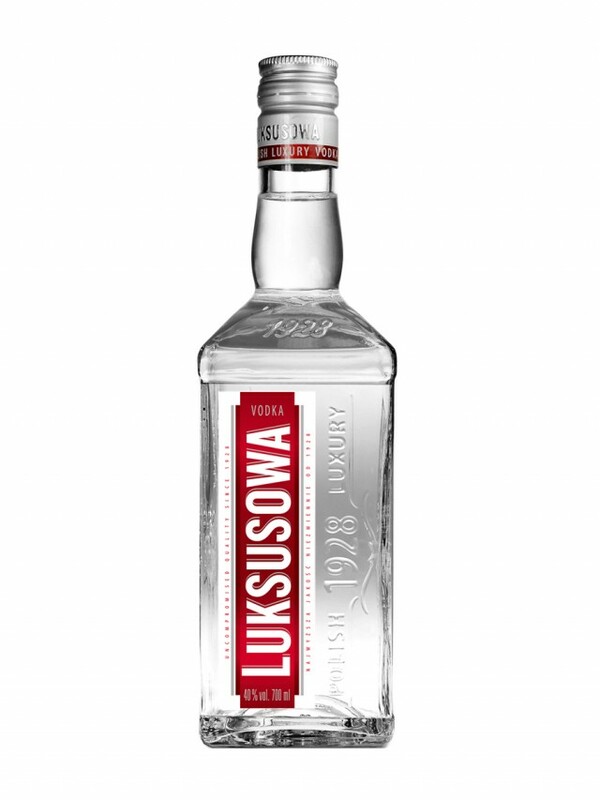 For the adventuresome guests, we’ll be sipping shots of ice cold Polish vodka. 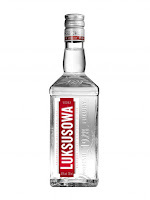 (Peter likes Luksusowa potato vodka because it is very smooth and a great value for the price). For the others, we’ll have a hearty red wine or Polish beer – all of which pair beautifully with Bigos. For dessert, we still have too many platters of Christmas sweets which are still delicious. We’ll put them out and pray they go fast. This dish tastes much better when reheated the next day. Serve with potatoes, and crusty dark bread. Pairs well with either icy vodka, hearty red wine like a cabarnet sauvignon, or beer.